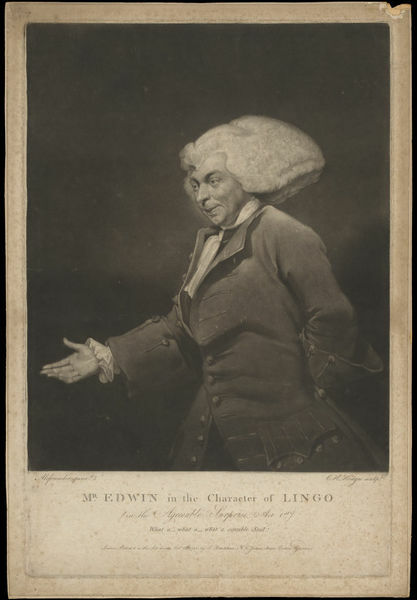 Print depicting John Edwin as Lingo in The Agreeable Surprise, published by Bradshaw, 1784. 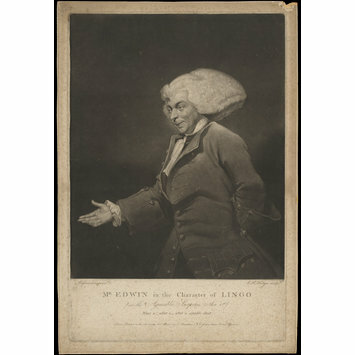 Print depicting John Edwin as Lingo in The Agreeable Surprise. 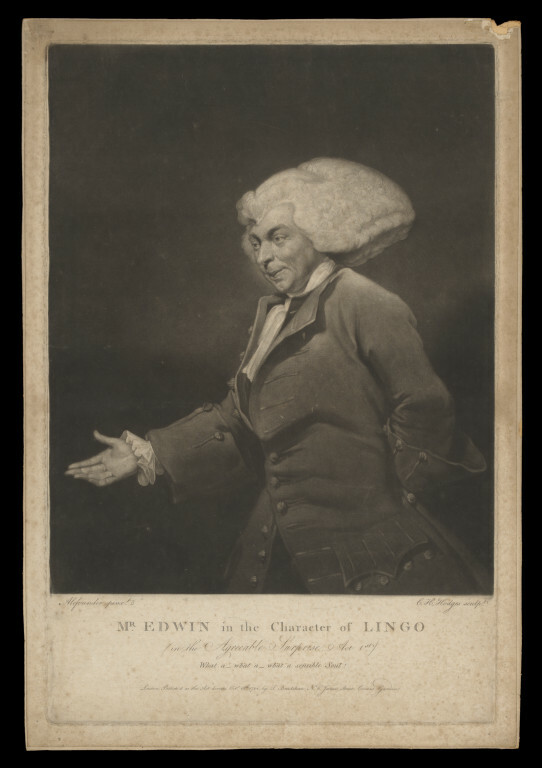 Print depicting John Edwin as Lingo in The Agreeable Surprise, published by Bradshaw, 1784, Harry Beard Collection.